Find Me an Anime or Manga Character with a Birthday on July 22nd? My friend Lara J. came through with the answer of Nico Yazawa of Love Live! Thanks, Lara! Now, to get to the other five days listed below. That means the opening dashboard to the set stating "Happy Birthday" and listing those with a birthday on the date you visit, would be empty. I'd show you except if you looked at this 359 other days of the year, it wouldn't be empty, with SIX empty dates! 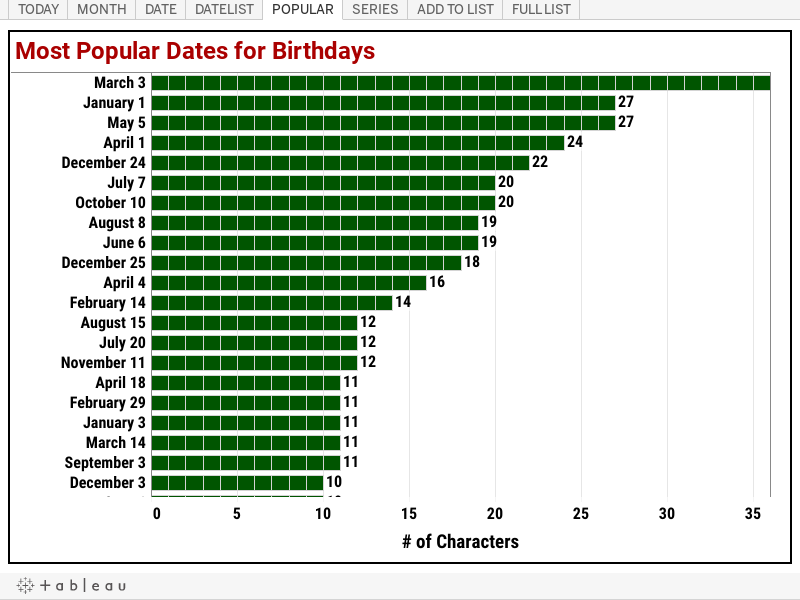 1915 characters and there are SIX days during the year on which none of them celebrate a birthday! Below, you can see the list of dates during the year for which I don't have a character with a birthday on it if you scroll to the bottom. Interestingly enough, of the other five dates without a birthday, we also have another on the 22nd, being in April. What's with the 22nd that of 12 occurrences during the year, none have a birthday for 1915 anime and manga characters I currently have on my list? There's also December 11, which is a divisor of 22, but let's not get too nerdy here, lol. So can anyone find me anime and manga characters on the days for which I don't have an anime or mange character birthday? If, by the odd chance, you are creating an anime or manga character, or know of someone who is, perhaps see if they'd be willing to pick one of those dates and post it as a comment for me.